Summer is nearly officially over but not without one more adventure trip. 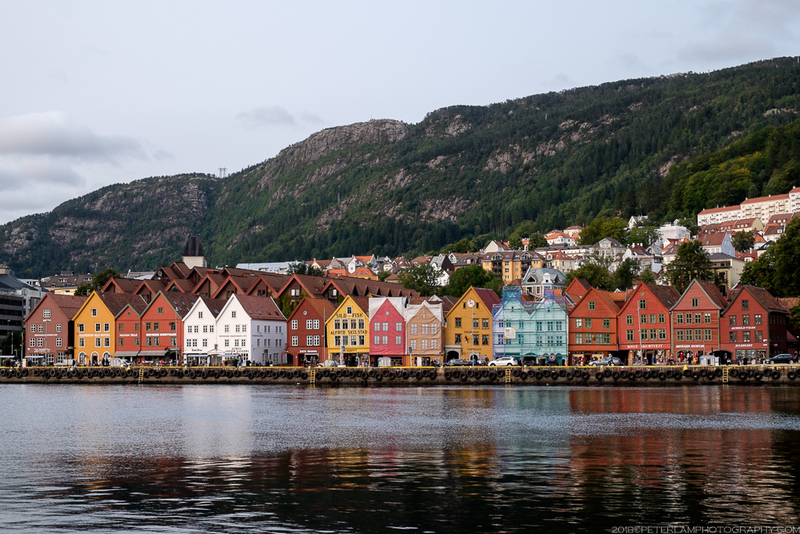 Hot on the heels of the Faroe Islands Adventure last year, I’ve just returned from a 11-day roadtrip in one of the most beautiful countries in the world – Norway. It was a very ambitious itinerary, because there is simply so much to see in this spectacular corner of the world. Six travelers crammed into a rental car, we roamed cities, towns and countryside taking in as much as we could in the limited time we had. 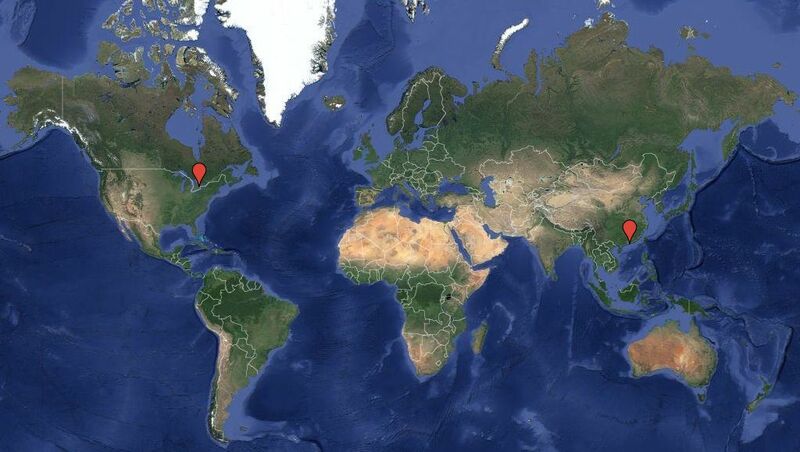 Our driving route on this epic roadtrip. 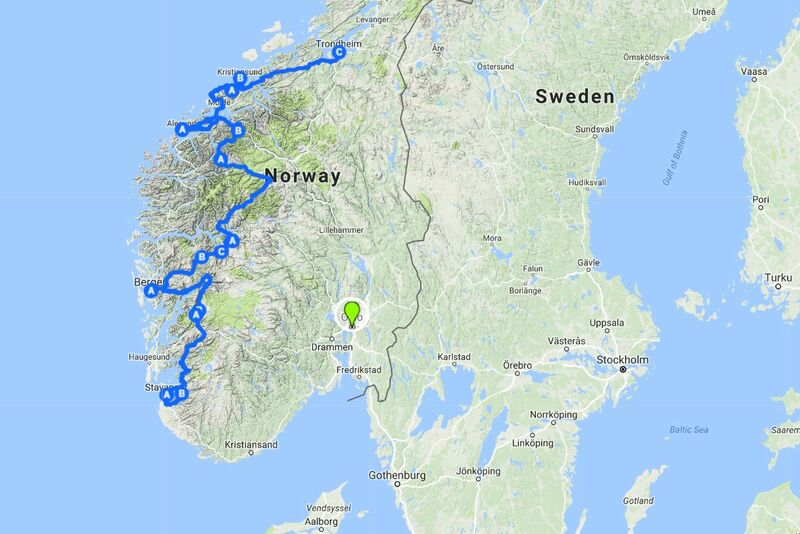 In planning for the trip it soon became clear that, being a huge country, to do Norway justice you really have to spend much more time (and money!) than is reasonably affordable for most working mortals. The mountainous geography meant that getting from A to B is never a simple straight line. Limiting our exploration to mainly the southern part of the kingdom, we try to cover as much ground as possible, taking advantage of plentiful daylight hours but still at a pace that allows us to enjoy the spectacular scenery. 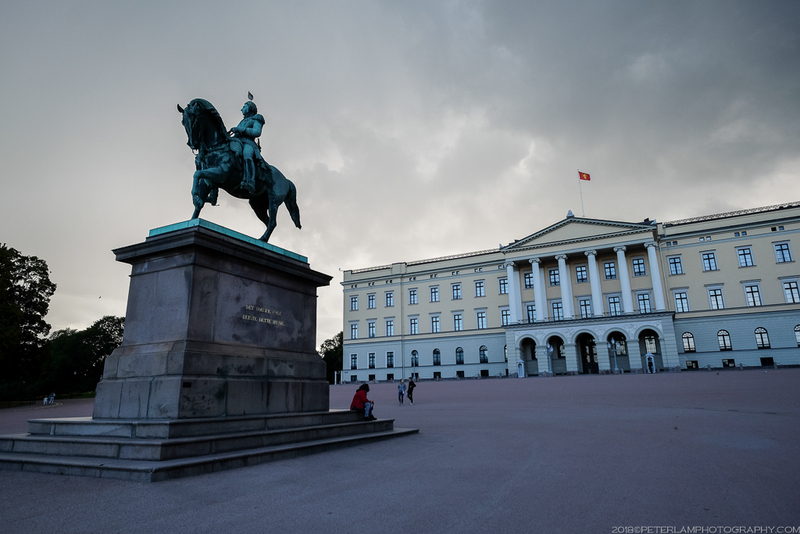 With about 4 or 5 hours of driving per day, we were able to cover a number of the official National Tourist Routes and even get on the trail to some of Norways most famous hikes, and still be able to visit the country’s three largest cities. The Nordic Gang of Six! Your’s truly on the far left. This post is a summary of the trip, highlighting some of the key locations we visited. It will be updated with links to other posts as I process the many photos from the trip, so check back often for new content. After a red-eye flight from Toronto with a short transit in Iceland, we arrive in Oslo. 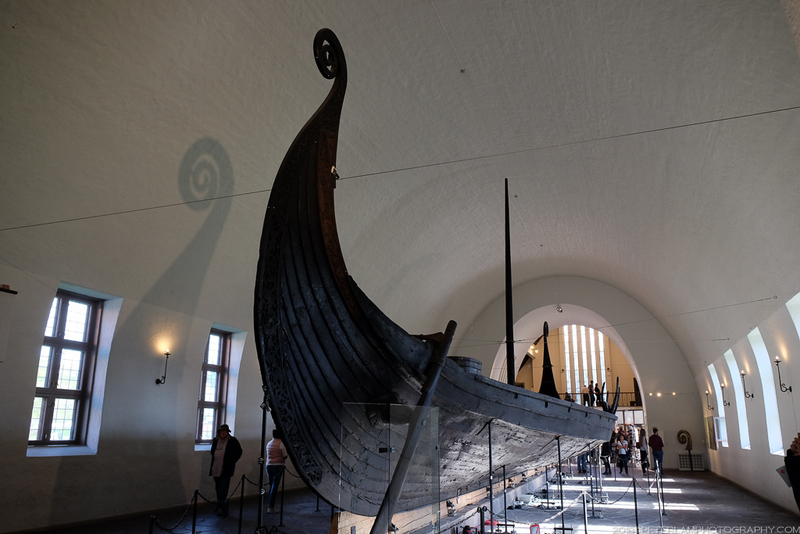 We spend some time exploring the capital, including the impressive maritime prowess of the Vikings and Norway’s history of polar exploration. We then hop on an overnight train to the city of Stavanger on the west coast. The Viking Ship Museum in Bygdøy. In Stavanger the roadtrip begins in earnest. We pick up our rental car and immediately head for the trails. 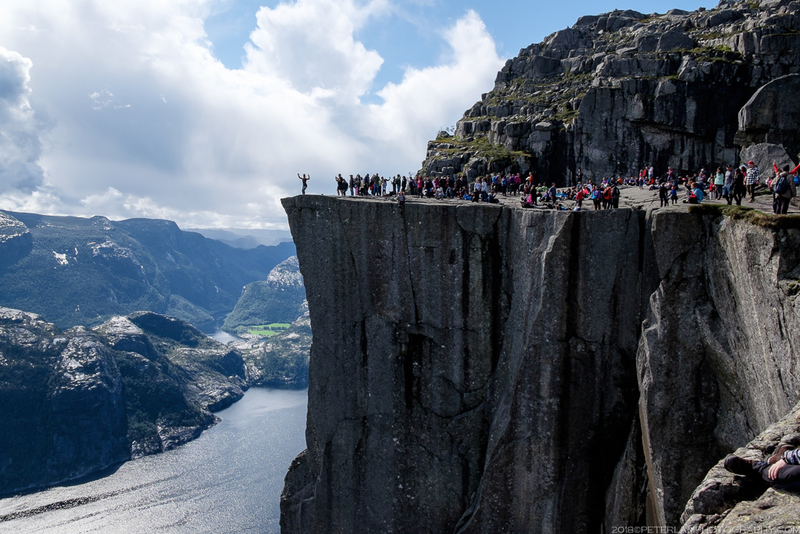 One of the most popular treks in the country, the Pulpit Rock (Preikestolen) is a 6-hour roundtrip hike to an sheer rock cliff with a stunning view over Lysefjorden fjord. 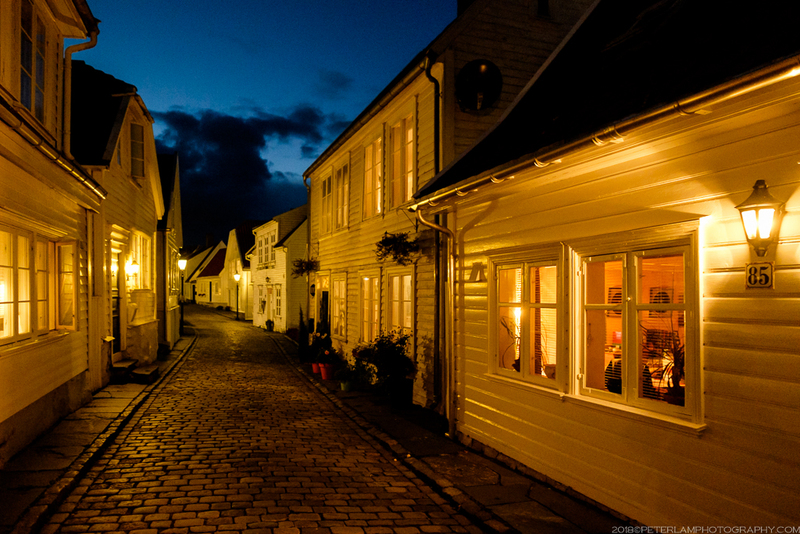 In the evening, we explore the city and historic Old Stavanger. Hiking to the Pulpit Rock. On Day 3, we leave Stavanger and travel on our first tourist route, the Ryfylke Norwegian Scenic Route, a long and varied stretch of road. 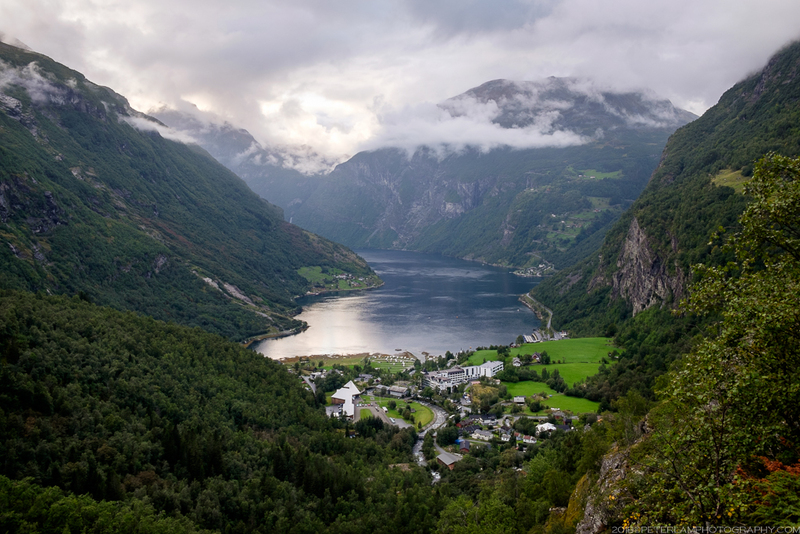 Here we take in views of Lysefjorden and roadside waterfalls and finish in the town of Odda, the main commercial and economic centre of the Hardanger region. This will be our base for the next two nights. 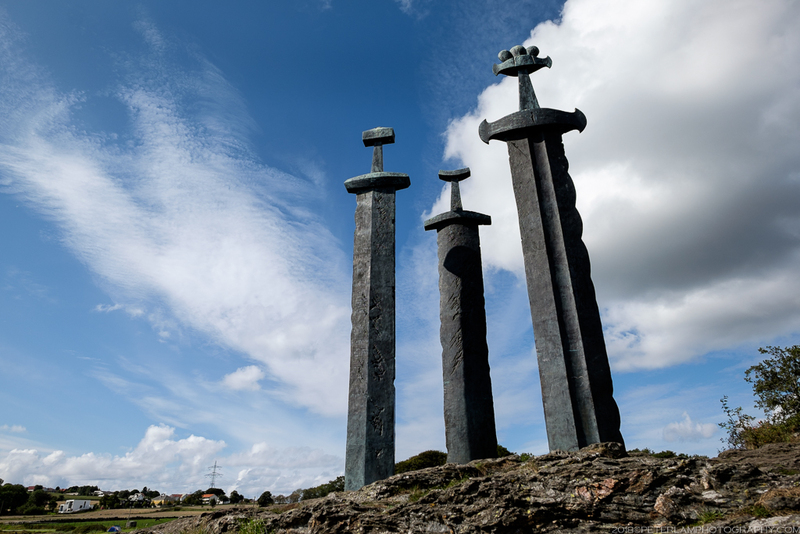 Sverd i fjell (Swords In Rock) in Stavanger. 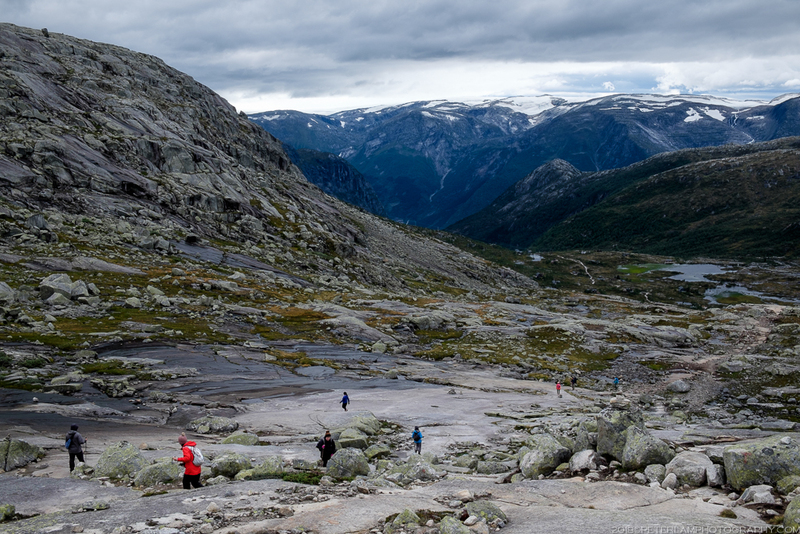 Day 4 is easily the most anticipated day of the trip – a 10-hour, 25-km hike to Trolltunga and one of the most photographed rock formations in the world. We get an early start through rain and wind but fortunately the weather improves just in time for that all-important photo op! 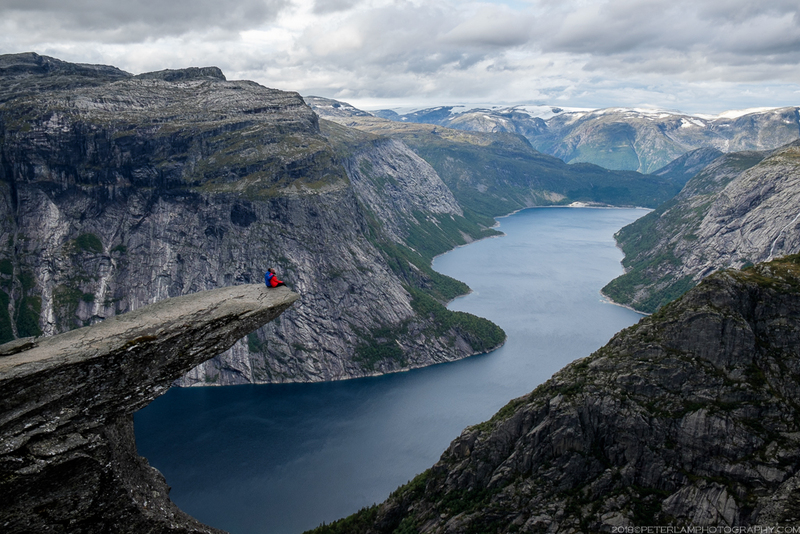 Stunning Trolltunga makes it all worthwhile. Amazing scenery on the Trolltunga trail. 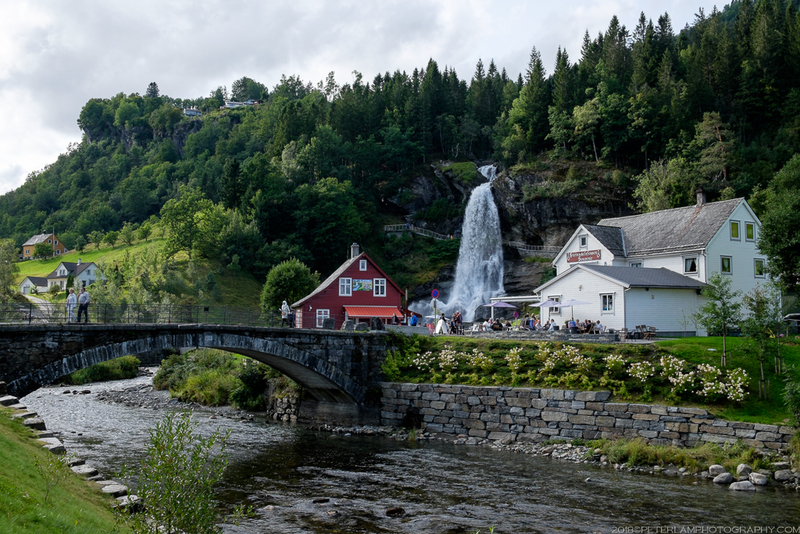 Slowly recovering our weary legs from the hike, we are back on the road and trace the Hardanger National Scenic Route to the west coast and Bergen, Norway’s second largest city. 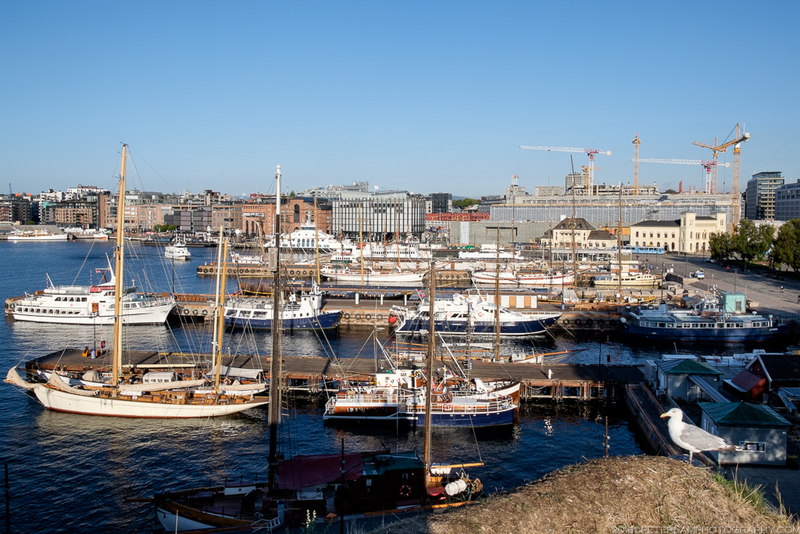 We explore the warehouses at Bryggen in this important historic centre of trade. On the Hardanger National Scenic Route. Bryggen historic warehouses in Bergen. After a brief visit to Mount Fløyen and a stunning view of Bergen, we’re on the road again and head east into the mountains. Day 6 was a wash – constant rain made this the wettest day of our trip. After a stop at the village of Flåm, we arrive at the village of Lærdal (via the longest tunnel in the world), our stop for the night. 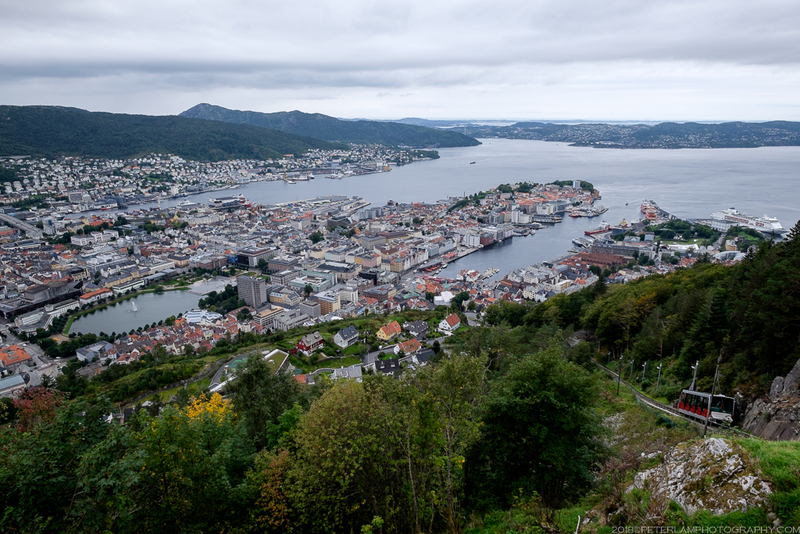 View of Bergen from Mount Fløyen. 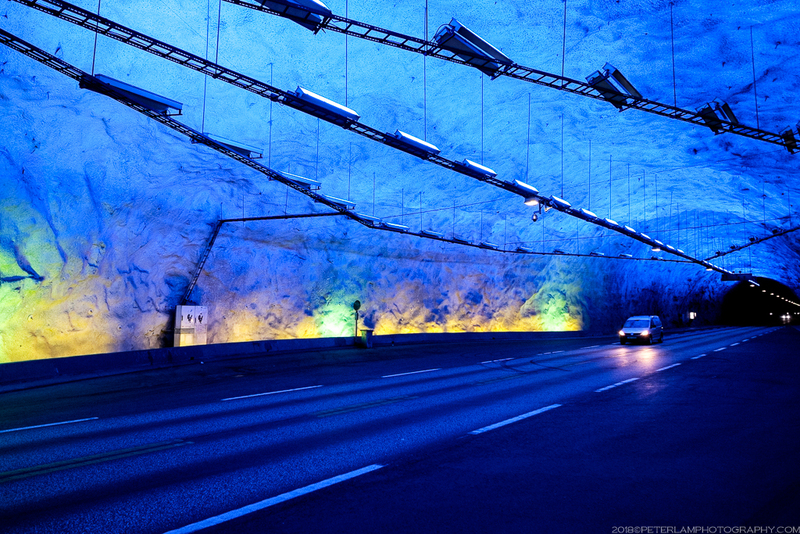 Inside Lærdal Tunnel, the longest in the world. 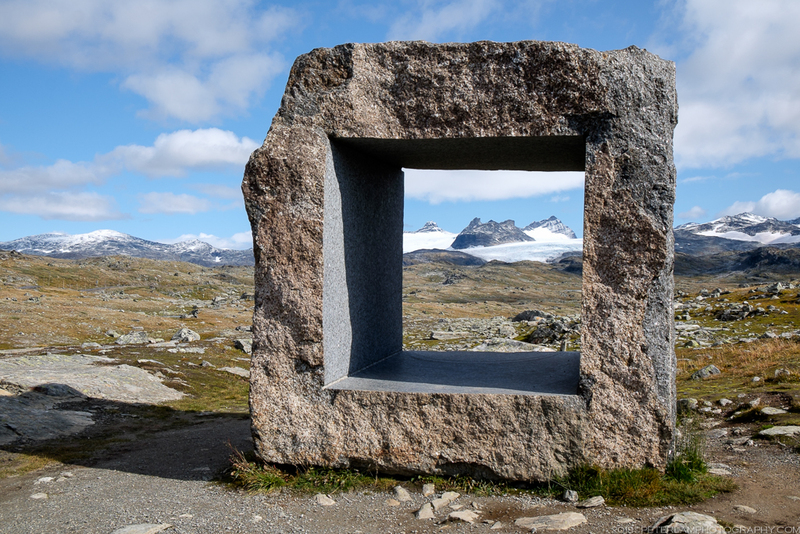 After the south-eastern corner of Sogn og Fjordane county, we’re on another national scenic route: Sognefjellet, a portion of which encompasses Northern Europe’s highest mountain pass. 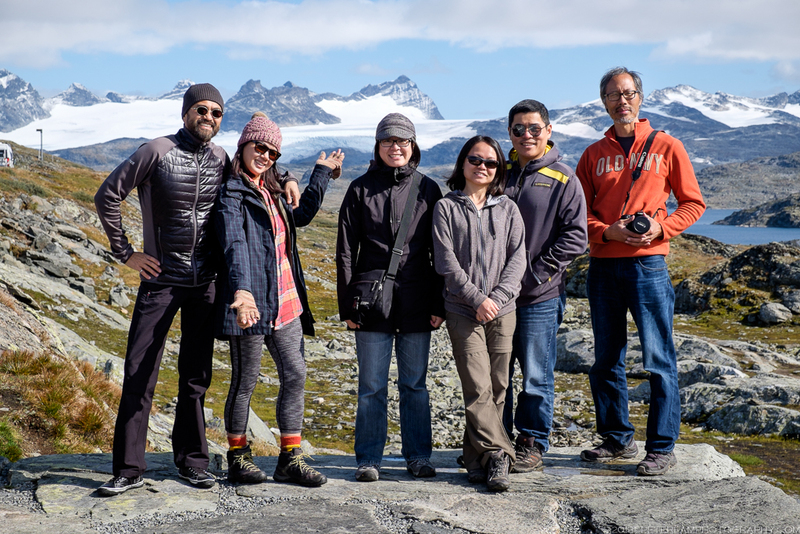 The landscape changes dramatically from lush fjord valleys to barren rocky peaks, glimpses of glaciers, and perfectly laid ribbons of twisty tarmac. I’m in driving heaven. 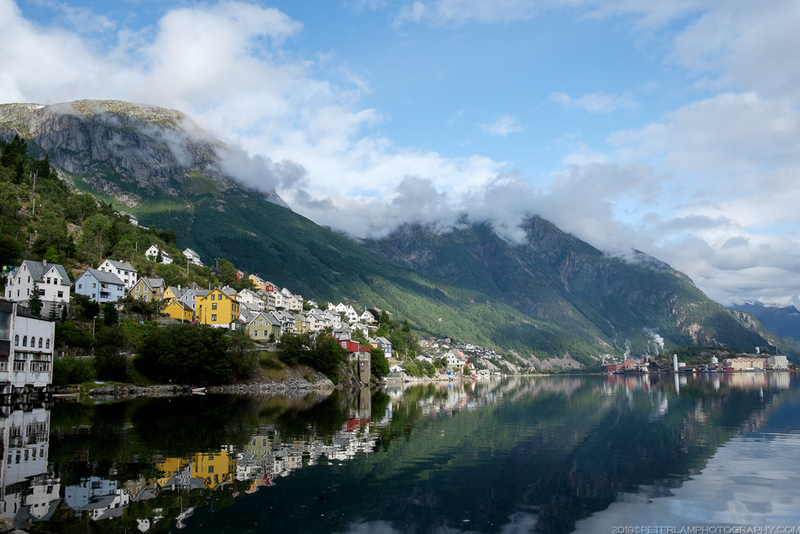 We finish in the picturesque village of Geiranger, a favourite cruise ship stop. Mefjellet stop on the Sognefjellet route. Another much anticipated day of the trip (for me as a driver, anyway) is navigating Trollstigen, a section of the Geiranger National Scenic Route that is a marvel of road engineering. This serpentine mountain road is world famous for its steep incline and 11 hairpin turns. 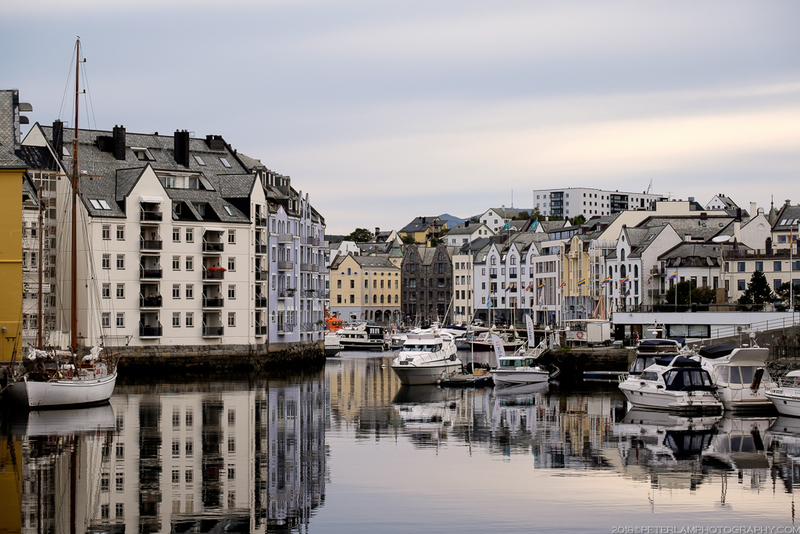 The final destination of Day 8 is the town of Ålesund, a sea port famous for its Art Nouveau architecture. 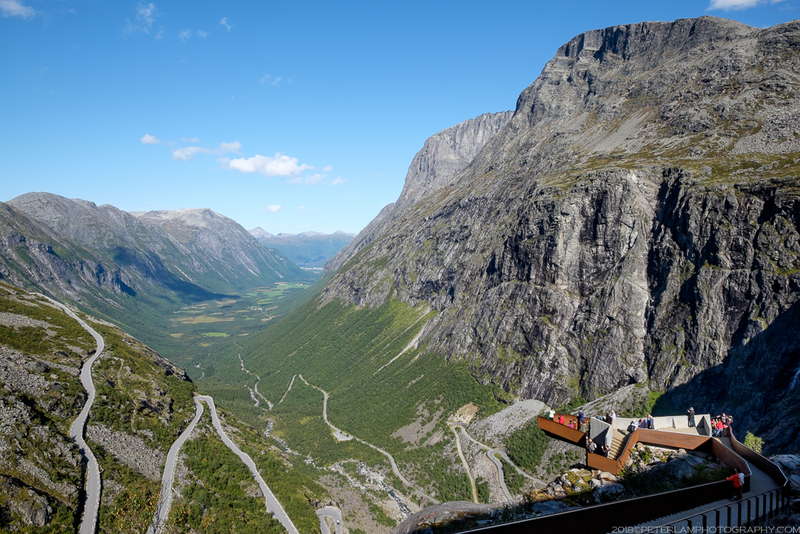 Trollstigen on the Geiranger route. 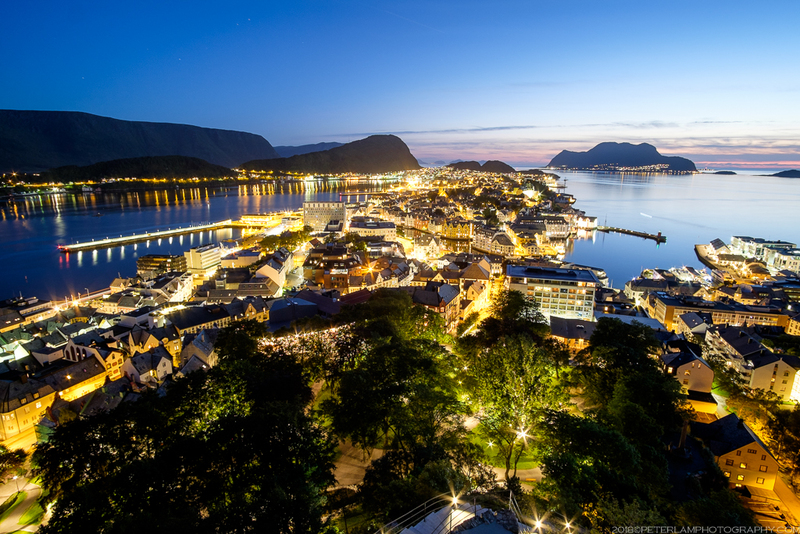 We spend some time exploring the beautiful port and architecture of Ålesund before hitting the road again and on to another master class of civil engineering – Atlanterhavsvegen, the Atlantic Ocean Road. 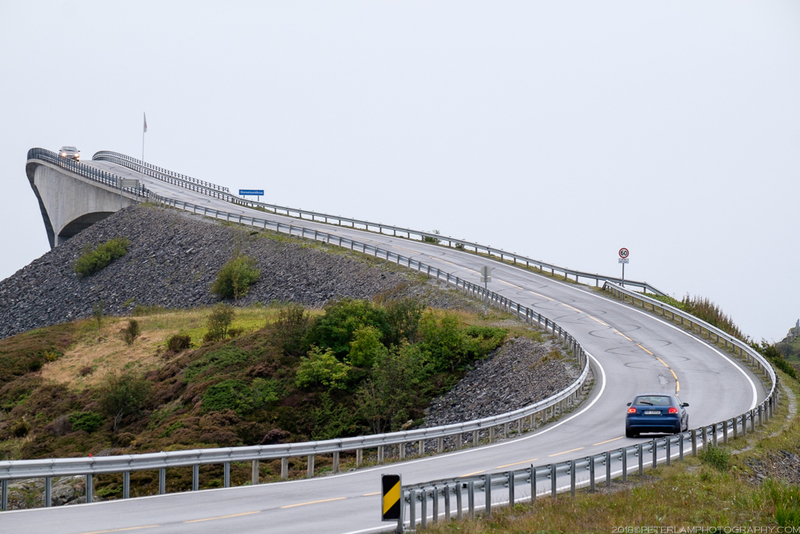 If nothing else, driving in Norway will make you appreciate the country’s stellar road infrastructure – it’s truly second to none. Art Nouveau architecture in Ålesund. 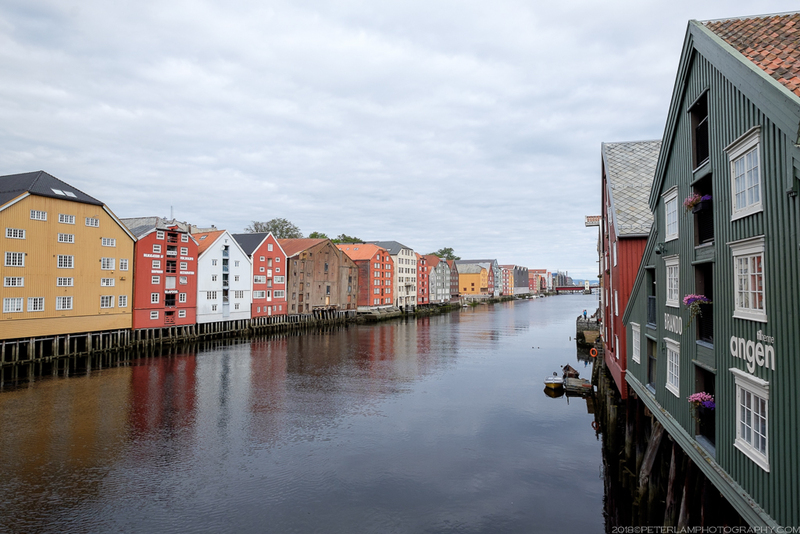 Our final northern destination is Trondheim, the third largest city in the country. Here we make a brief stop at the historic district and an old fort before catching a domestic flight back to Oslo. 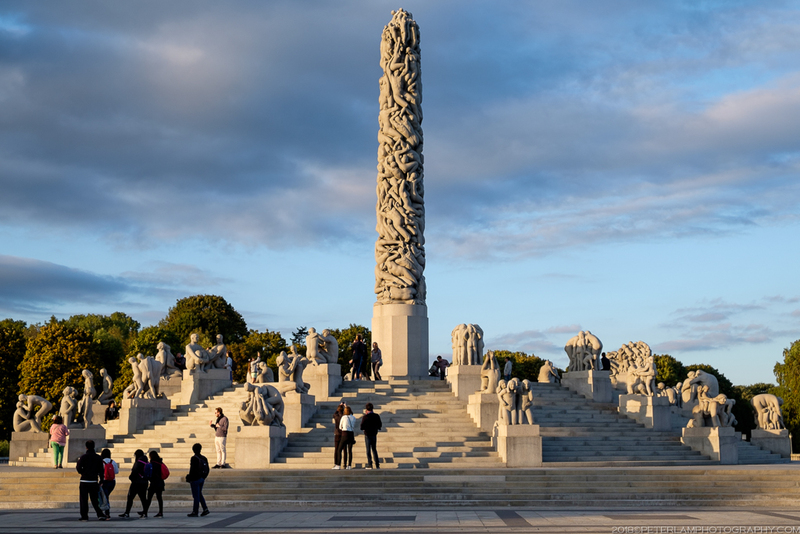 Taking advantage of perfect evening weather, we explore the popular Vigeland Park, the world’s largest sculpture park by a single artist. Old warehouses and docks in Trondheim. Vigeland Sculpture Park in Oslo. 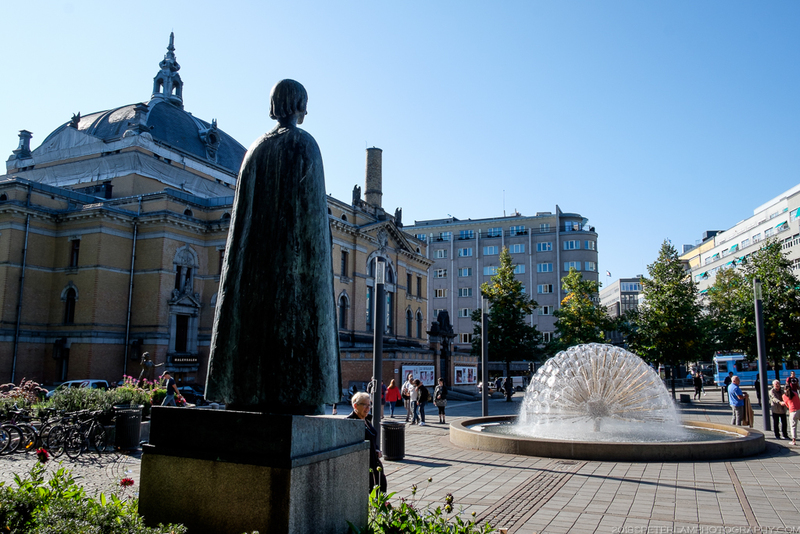 All good things must come to an end… With just a few hours left before our return flight home, we make the most of the great weather and explore downtown Oslo by foot. And so ends our Great Norwegian Roadtrip! Can you tell me , in April driving from Bergen to Trondheim, about 6days the road must be nice and view is good , thank you very much . You will love the drive! We drove from Bergen to Trondheim in about the same amount of time, and the scenery was perfect. I would suggest you take a look at http://www.fjords.com/national-tourist-routes-in-the-fjords/ and pick some of the official tourist routes. Though in April, some may still be closed for the season, so you should check ahead. In the coming weeks I will post more updates from my roadtrip, and the route taken.